Just insert the plug into your ESC & the LEDs are turned on! Detail up your race machine! 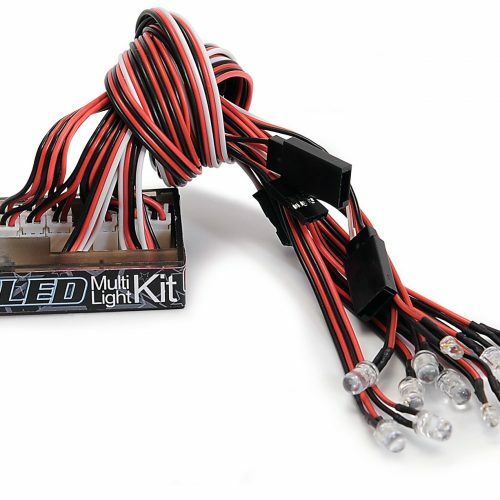 Light up your car simply by connecting this LED unit to your ESC & you’re good to go! 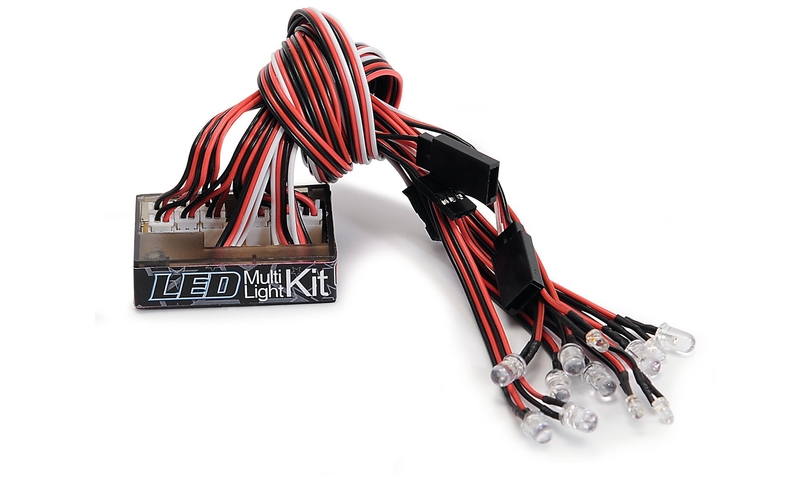 The CARSON LED light unit gives Race RC Cars a cool look and also allows driving in the dark. Numerous functions are implemented by the control unit and drive the total of 12 LEDs. The Demo mode makes your racer a show car!